I finally read this celebrated book, and it’s quite a read. It’s all at once devastating, complicated, weird, queer, scary, sometimes funny, and the writing was always beautiful. 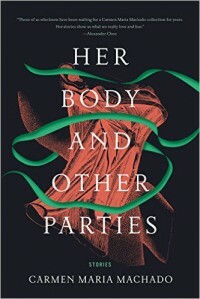 Machado has written about the female experience in a number of different stories, some I enjoyed vastly more than others, some captivating me, a couple dragged on a bit. But this is unlike anything I’ve read before. A book YOU should probably all read!